Mornings at my house are the hardest. I’m not a morning person, so trying to get two kids ready and out the door while trying to get myself ready feels like swimming against the tide every morning. To help our mornings go easier, I like to plan ahead, and set up routines. 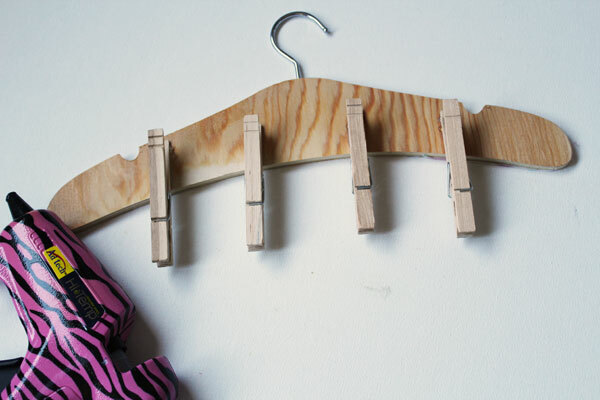 One very simple way to plan ahead is to set aside clothes for the following day. We live in a small house, with not a lot of room to set things aside. 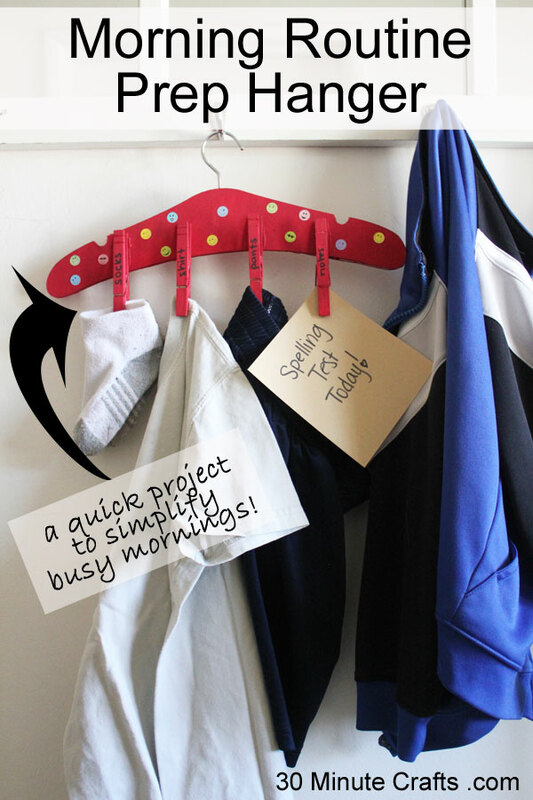 So making this Morning Routine Prep Hanger makes sense – It gets everything ready, keeps it organized, and also out of the way. It also keeps socks from going missing. Many a tardy slip can be traced back to missing socks! 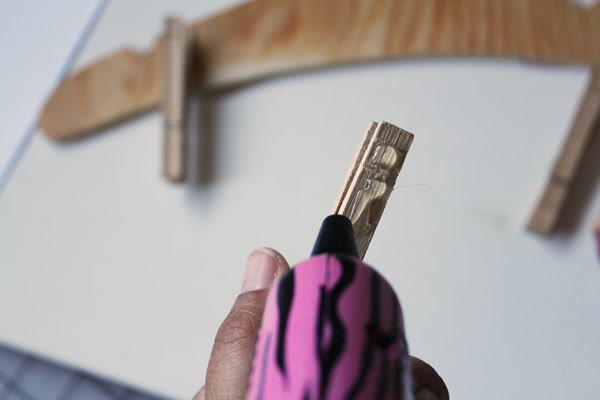 This project is part of Craft Lighting – Back to School. 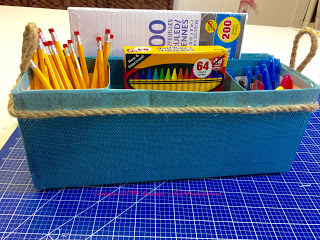 All week long my friends from The Country Chic Cottage and Happy Go Lucky Blog and I are sharing fast and easy projects you can make in 10 minutes or less, that are perfect for Back to School! We’ve also invited some of our craftiest friends from around the internet to join in – check out their awesome projects below! 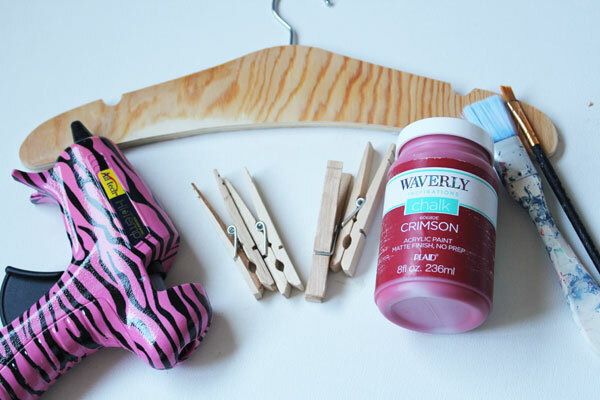 Use hot glue to glue on clothespins. 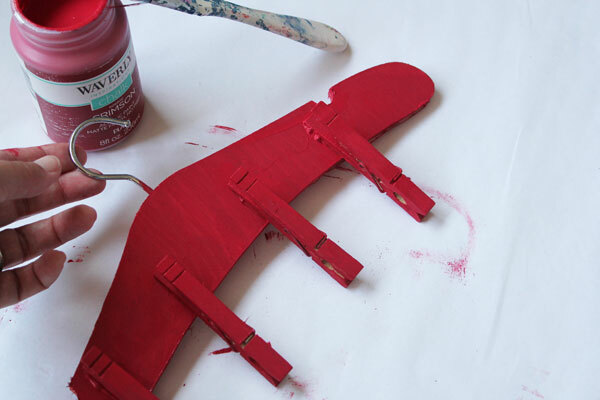 Paint in your child’s favorite color. 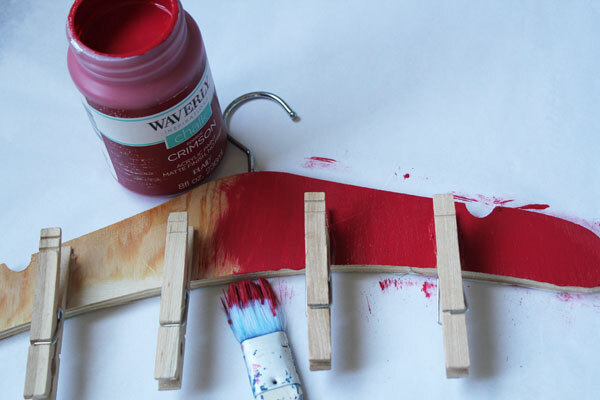 I’m going with this great red Waverly Chalk Paint that Plaid Crafts sent me. Let it dry. 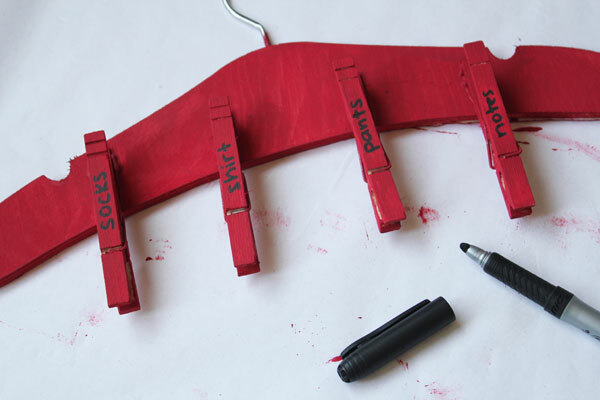 Then write on the clothespins what each one is for. Put light things on the outside (socks, notes), and heavier things in the middle (shirts, pants). 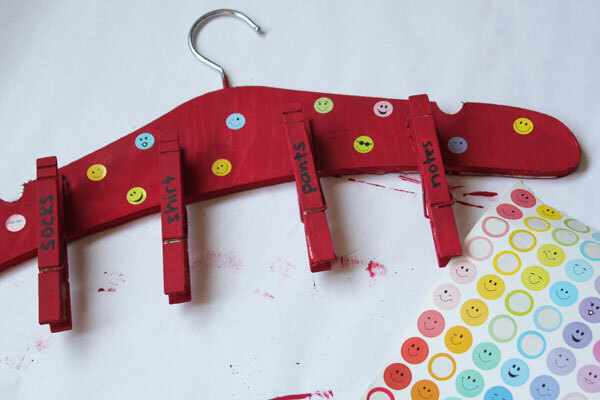 If you like, you can decorate the hanger with stickers – or you can let your kids personalize their own. You’re all set to have stress-free mornings! As long as you don’t run out of cereal. Or milk! 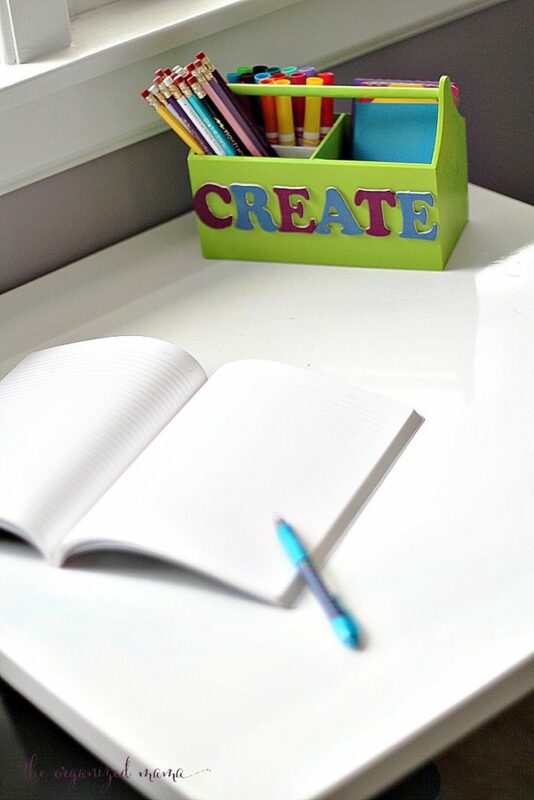 Annmakes created this homework helper to keep homework supplies organized. Over at Craftivity Designs you’ll learn how easy it is to make these ribbon bookmarks. 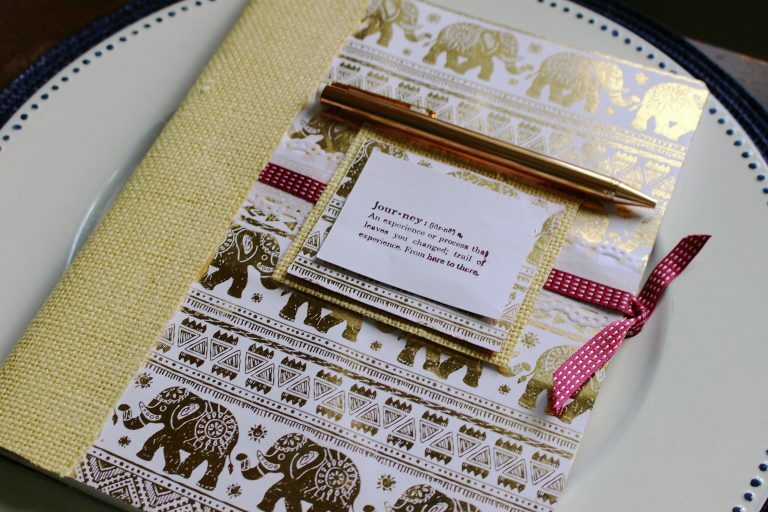 Our Crafty Mom turned a simple composition book into a great teacher gift. The Organized Mama has a great supply caddy for homework. 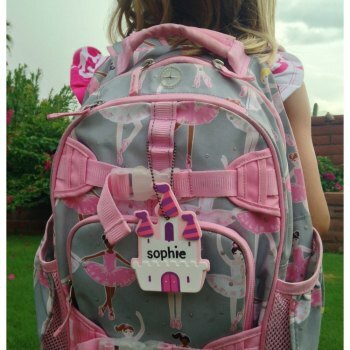 This cute backpack tag was made by Dazzle While Frazzled. And this organized homework station was made by Cupcakes and Crinoline. 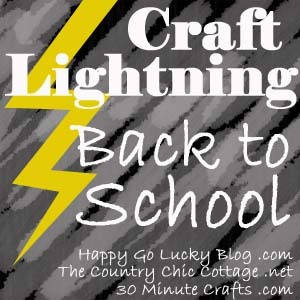 Be sure to come back tomorrow for more fast and fun back to school craft ideas!